Learn howto recognize TK102 GPS tracker model fake, clone and original by IMEI. Let us figure out how you can setup your GPS tracker fake if you are not sure if you own a clone or genuine. Do i own a GPS tracker clone? Buying a cheap 20 USD GPS tracker was a good business? The one calls it china gadget, the other calls it clone or fake. Let us find out what you really bought. Learn more about TK102 clone setup. Shenzhen Xexun Technology Co.,Ltd, in short Xexun was established in 2002. Xexun was the first company who developed a GPS tracker which was missing on the market until then. Small, lightweight, easy setup, reliable and affordable - the XEXUN TK102 was a revolution. The Chinese copy everything, no matter if it is the own economic asset or something else. So the TK102 got the most copied GPS tracker at all. But do not worry, all TK102 clones and fakes known to us are compatible with our free gps tracking platform. 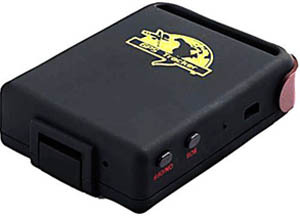 But before you can setup your GPS tracker for communicating with a GPS tracking server you have to setup this tracker. And this is only possible if you know in detail which GPS tracking device you own. Is a TK102 fake trash? Not at all. First of all we should clarify: What is a fake? In our opinion a fake is a device which tries to make you believe that you own a original xexun tracker by telling Buy a original XEXUN TK102 now even if the tracker is not a original. A clone is a GPS tracker which doesn't simulate to be a genuine tracker. In the meantime our chinese friends have realized that they cannot earn money with trash. So no matter if clone or fake, many GPS tracking devices called TK102 are as easy to use as the XEXUN product, and not only that. Sometimes such clones are better. 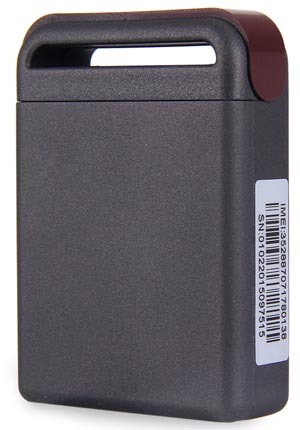 Take a look at the coban product called GPS102, same case housing, similar logo at the front of the tracker, similar commands, even the default factory password is same (123456). This product is much cheaper and has some more functions like angle mode (track by change driving direction) and a power save mode called "less gprs". We were missing such a power save mode on xexun models for a long time. So far - the coban clones have overtaken the xexun models. 10 years ago the amount of TK102 clones on our server was below 10%, now we are talking about 90%. And most of them are doing their work all day long. Look at this tracker. Looks like a TK102, same size as a TK102 and maybe, it possibly smells like a TK102. But it isn't a TK102. Check the sticker. Can you see the IMEI number? Okay, the picture is a little bit small but you can probably see a number containing **88707*. This is a very cheap clone of the TK102 and available on eBay for ~ 13 USD1. Scroll down to see some details about the IMEI numbers and how to recognize a tracker by IMEI. Have you ever entered TK102 SMS setup into google search? As you have seen there are hundreds of different ways to setup this kind of tracker and hundreds of several sms commands. Please do not use external characteristics like front logo, SD card slot or LED color to distinguish the GPS tracker model. That wont work properly. It is common in the OEM business to buy hardware and knowledge instead of self development. So case housing is from OEM A, circuit board from OEM B and firmware from OWM C. That doensn't make it more easy, we know that. To setup your GPS tracker you need to find out what kind of hardware and firmware is included. So we turned the night into day and figured out which TK102 clone needs which setup. First of all you have to find out which kind of clone you own. Your SIM card goody A wrong SIM card can strongly influence your monthly costs for GPS tracking. For users from the United Kingdom (UK) we are proud to announce that you can now reduce your monthly costs against zero. Find out and jump directly to your free gps tracker sim card1. If you come from abroad we can offer a bunch of several SIM cards and providers from all over the world in our section international SIM cards and providers. The IMEI number is (almost) an unique GSM cell phone chip identifier. For the sake of simplicity most GPS tracker manufactorers use this IMEI number as tracking device identifier. That is the reason why you need this IMEI number if you want to register at a GPS tracking service. The tracker sends its IMEI number as a kind of identification package to the server. Usually this IMEI number is located at small sticker below the battery or at a sticker on the case. Just let us look more closely to this IMEI number. If you find the digits 2704 or 8707 starting at the 5th position of the IMEI number you own a clone, 20 USD on ebay. Have a nice day. You can find suitable setup commands reading our articles TK102 clone setup with *2704* IMEI for GPS tracking platform or how to setup a XEXUN GPS tracker for a tracking platform if you have own a 8707 IMEI number tracker. A 8707 IMEI number tracker is no XEXUN tracking devices but is using similar commands. Check the GPS tracker setup at our article TK102 fake setup with *8708* IMEI for GPS tracking platform. Not a XEXUN but a COBAN GPS102 tracker. Affordable, reliable and easy setup. Jump directly to our article setup COBAN GPS tracker for tracking platform. The last IMEI example is no XEXUN IMEI but is using the same setup commands. These commands are suitable for all XEXUN tracking devices like TK103, XT009 and so on. You can setup your XEXUN tracker by using the commands in our article how to setup a XEXUN GPS tracker for a tracking platform.